More than 120 million animals were slaughtered in England without pre-stunning between October 2017 and September 2018. Meat should be labelled with the method of slaughter until legislation can be changed for a full ban on non-stun, industry leaders have said. The British Veterinary Association (BVA) and the RSPCA have teamed up in a letter to Defra Secretary Michael Gove after more than 120 million animals were slaughtered in England without pre-stunning between October 2017 and September 2018. The duo urged Mr Gove to change legislation in England which currently allows non-stun slaughter for religious purposes – and provide further transparency by releasing the 2018 slaughter survey results, originally due to be published in autumn last year. 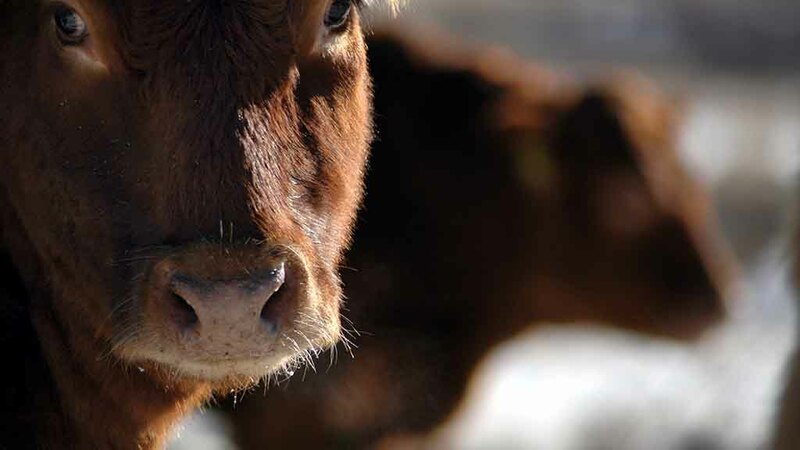 It follows the ban of non-stun slaughter in the Flanders region of Belgium, which this year joined several other European countries in making the decision and further demonstrating that ‘a full ban […] was possible within EU law’. RSPCA chief executive Chris Sherwood said non-stun slaughter ‘seriously compromises animal welfare’. He said: “Until there is a change in the law to end non-stun slaughter, there are several measures the UK government could introduce to reduce the suffering involved in this practice. Other calls include non-stun slaughter to only be permitted at levels that meet local religious community demand in the interests of limiting animal pain and suffering, and an immediate post-cut stun for cattle, sheep, goats and deer to reduce the period of pain and distress. “Our concern does not relate to the expression of religious belief, but to the welfare of animals,” Mr Sherwood added. BVA president Simon Doherty said it was ‘doubly disappointing’ that the 2018 survey slaughter results was ‘yet to see the light of day’. He said: “There is a huge groundswell of support for a ban on non-stun slaughter, and recent developments in Belgium show that decisive change is possible where public support is matched by political will.